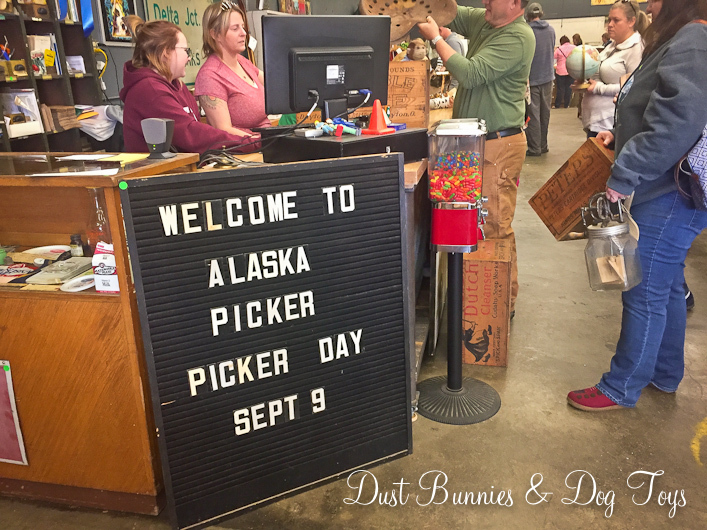 This past weekend I went to the fall Alaska Picker Day and as always had a great time. 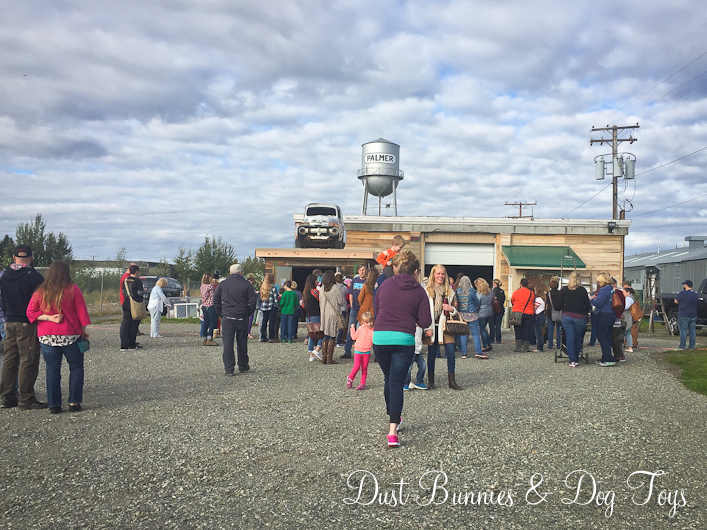 The crowd that attends these events is always so courteous and there’s great finds that we can’t usually get here in Alaska at reasonable prices. This was the first time they’ve held the event at their new location in downtown Palmer. I love that they sit directly below the historic water tower which just adds to the charm. 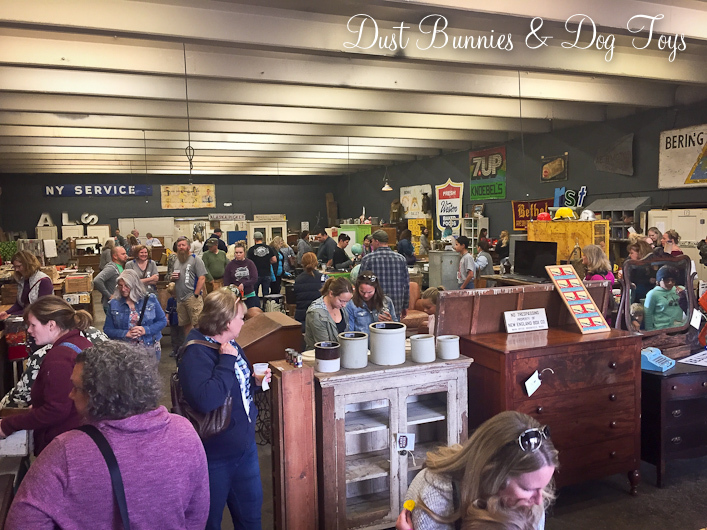 I arrived 15 minutes before the sale opened and there was already a good sized crowd on-site, but everyone was respectful of the “gate” which was just an extension cord pulled across the driveway. I ran into our friends Larry & Anne, who run Anne-Tiques and chatted with them about some projects I’m brainstorming while we waited for the sale to open. 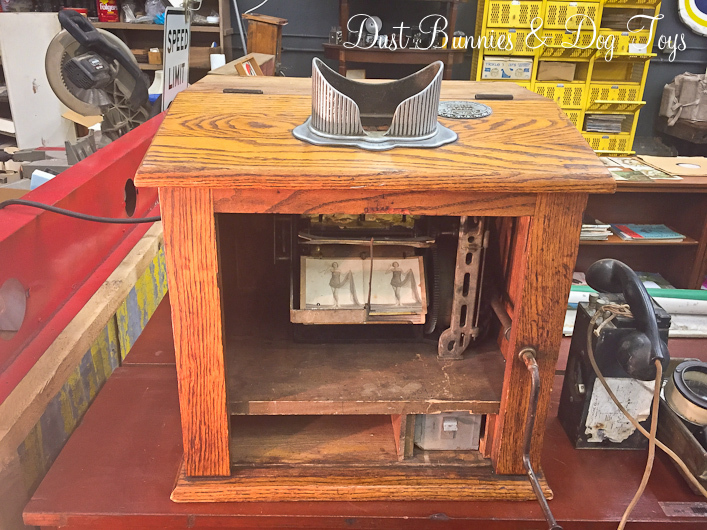 Once the bell rang everyone flooded in to the shop through the large bay door, right to this massive back bar piece they brought back from the midwest. 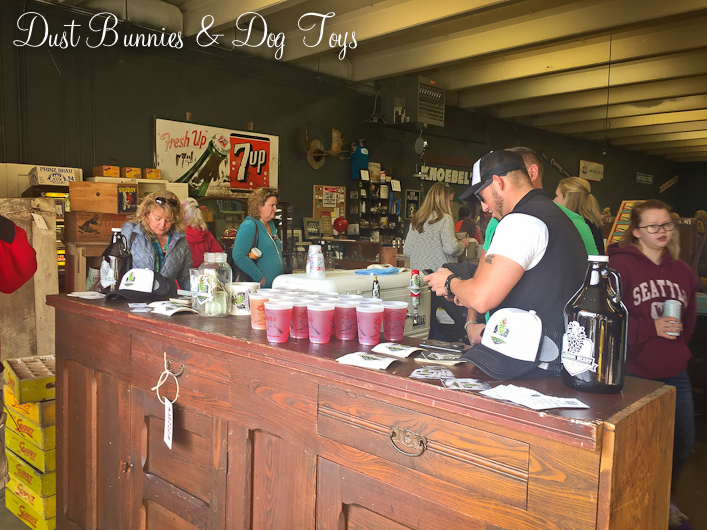 A local brewing company had samples available for a donation, but since I was driving solo I didn’t partake, but heard them receive good feedback from several patrons. This was the scene inside behind the makeshift bar. Oodles of awesome junk. I wasn’t on the hunt for anything in particular so I decided to step back outside and look at things there now that the crowd had migrated inside. 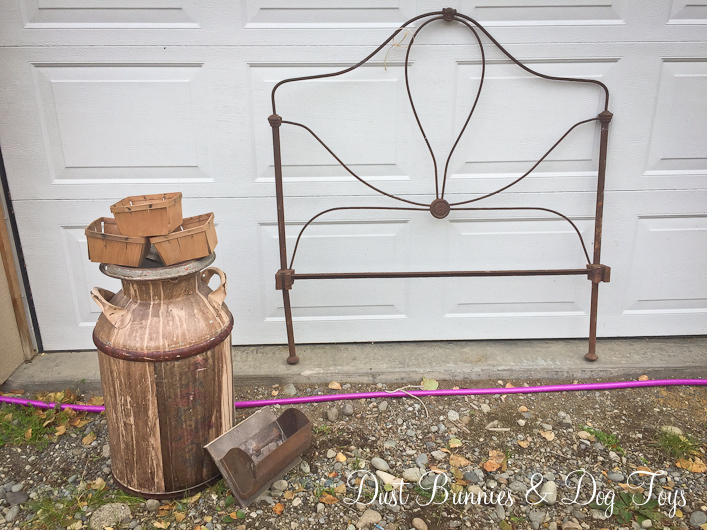 I spotted these awesome metal headboards and knew they’d make great trellises for the garden but didn’t have an exact spot for them so I hesitated. I was most interested in the larger more ornate piece, since they were just $30 each. I decided to ponder them some more and browse for other items so I headed back inside to look around. 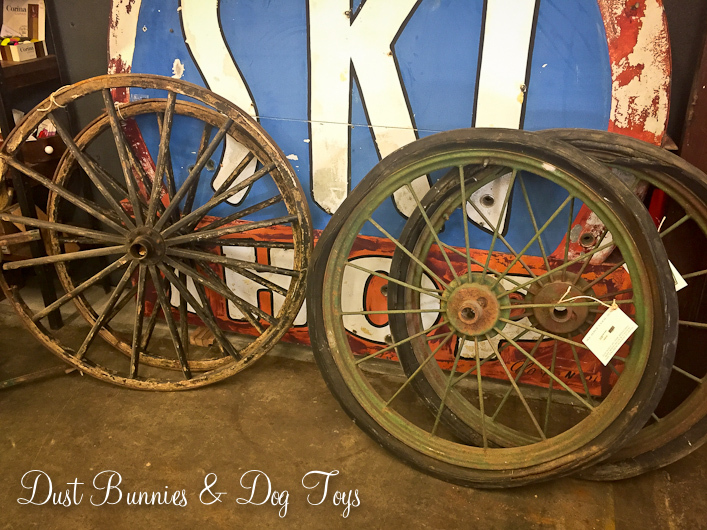 I spotted these cool carriage wheels, one set wood and the other metal. The wooden ones were already spoken (tag pulled) for so I don’t know how much they were priced at. 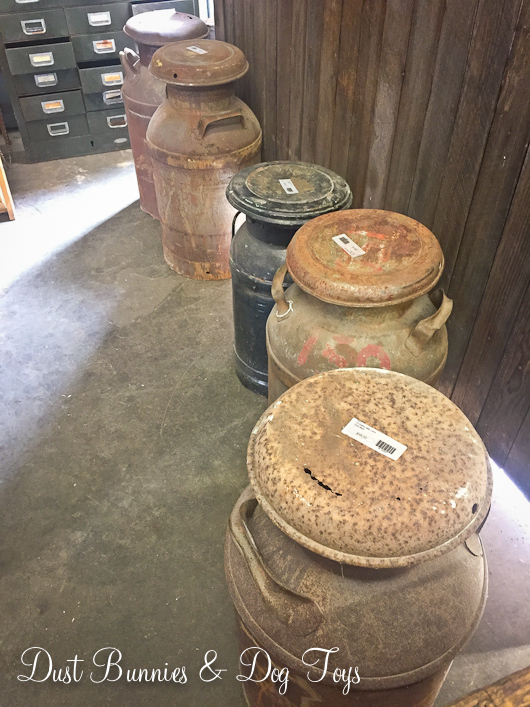 Near the wheels was this line of milk cans. Priced at $58 each they were a good buy but I’d had the luck of finding one at a garage sale I stumbled upon that morning for just $20! 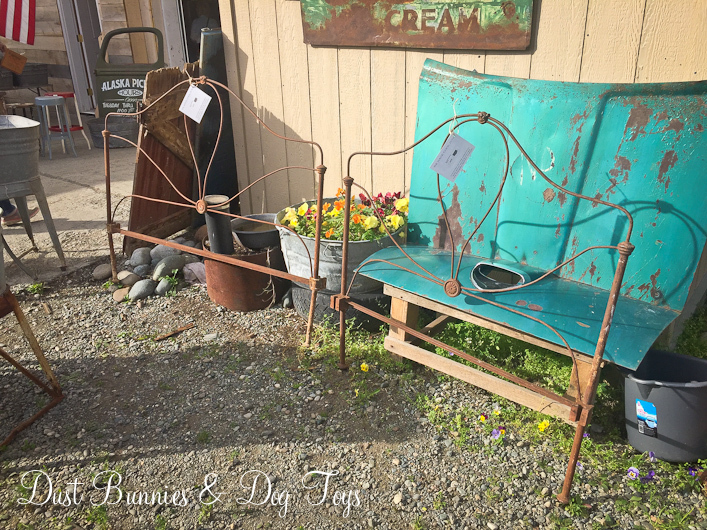 It doesn’t have the patina these ones do, but a coat of paint will have it ready for a new home on my deck or porch next year. 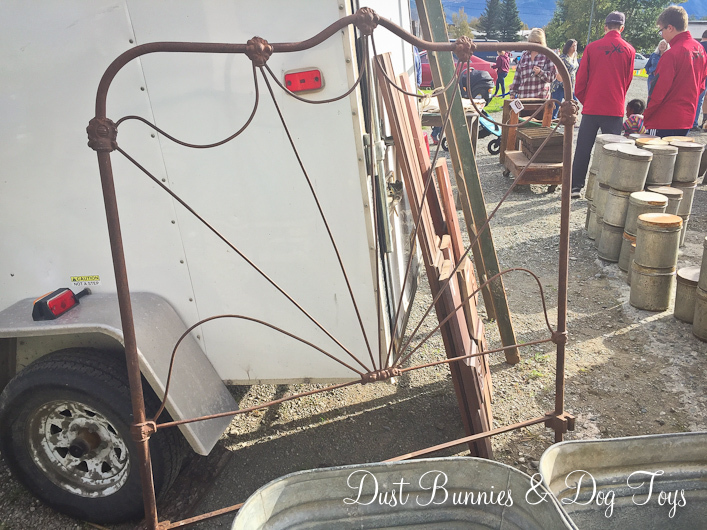 I’m always drawn to these wash tub stands because they make great raised planters, but I don’t have a spot for one right now and their $225+ price tag wasn’t really in the budget right now. I’m sure they will find happy homes quickly. 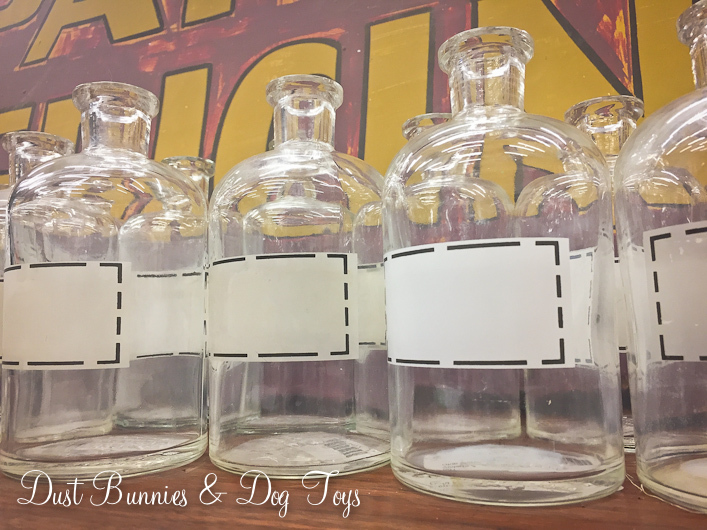 These fun apothecary jars caught my eye as well. At $12 each they were a little pricey, but still a good buy. I didn’t have a specific use for them so I left them for someone else to enjoy. 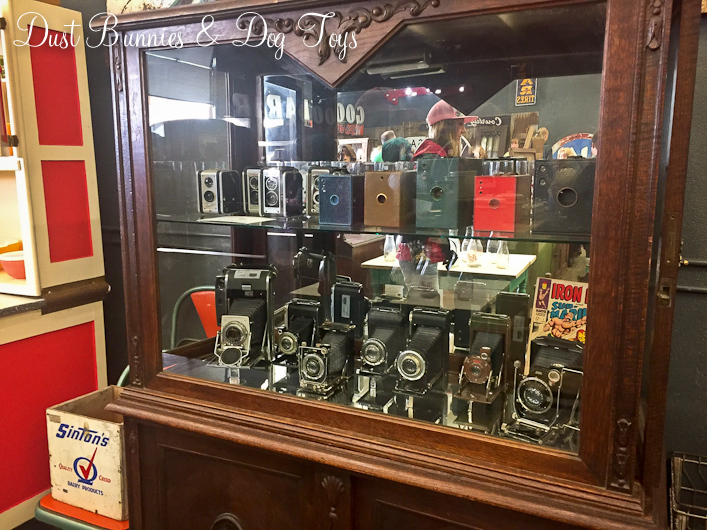 There were also several displays of vintage cameras. 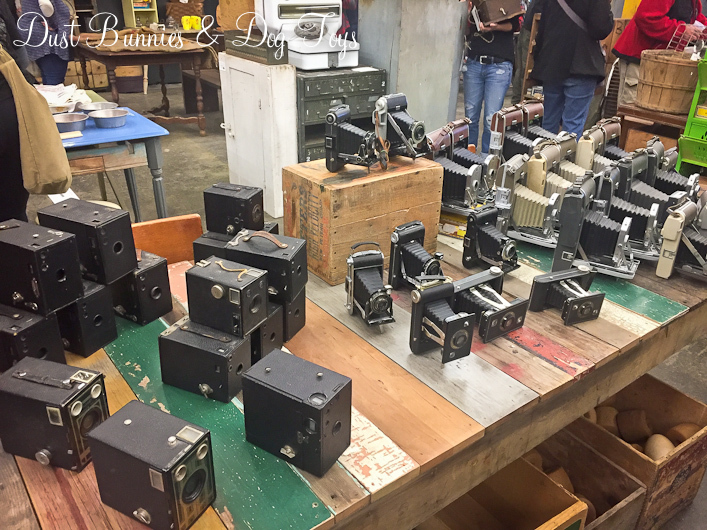 As a photographer I love seeing them and the history the document, but I’m trying to simplify our spaces and reduce things that just collect dust so I passed on these, even though were well priced from $25-50 each. This old photo viewer was another interesting photography find. I didn’t get to ask about the history of the piece but it just looked cool – and the photo in the holder made me giggle thinking it was likely considered very risque when it was taken. 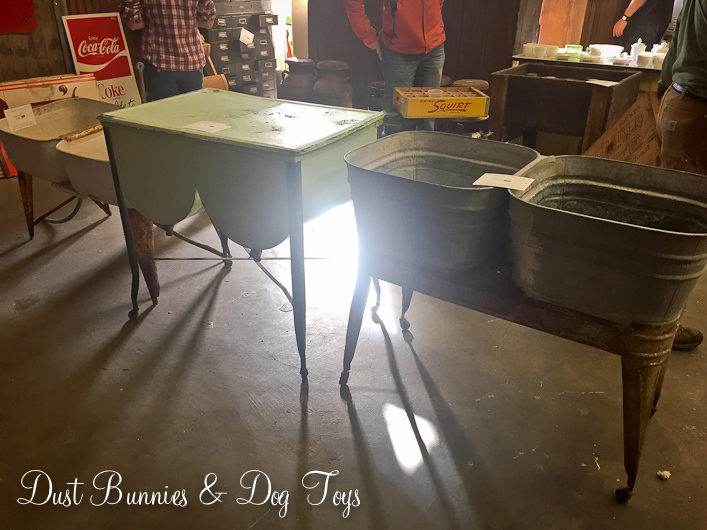 It wasn’t a big haul, but I’m pretty happy with the items and projects they will fuel – all for just under $65! I’d love to hear what you think about my finds and ways you think I could use them in a comment!